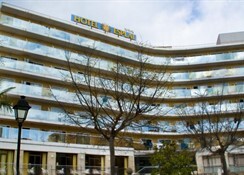 With good transport links to exciting Barcelona, the Espai Hotel, located in the seaside city of Calella in the northeast of the country, provides comfortable accommodation with an all inclusive option. The hotel has its own buffet restaurant as well as a bar and poolside snack bar, not to mention super close access to the beach (which is 0.5 miles away) and an entertainment programme suitable for guests of all ages. 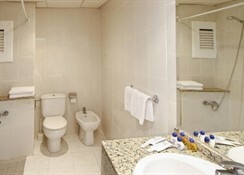 The hotel has a range of modern room types to suit all travelling parties and is particularly popular with families. 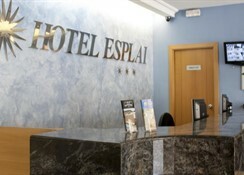 There is free Wi-Fi available at the resort and the Espai Hotel provides a relaxing break in the sun while being within reaching distance of Barcelona. 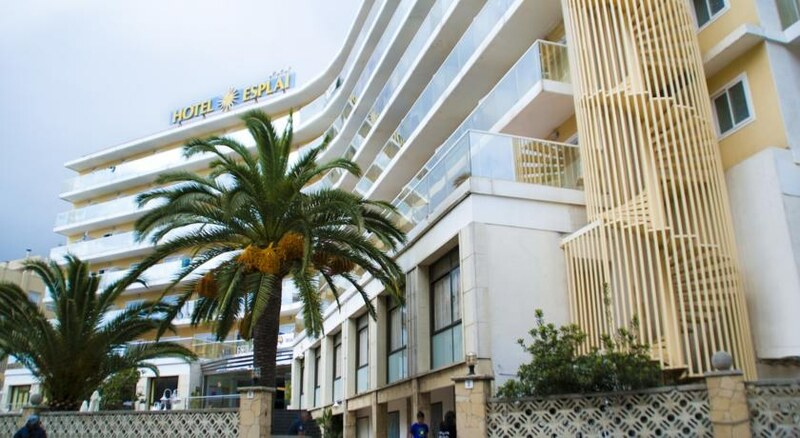 The Espai Hotel is located in the seaside town of Calella, which is 30 miles from Barcelona and takes just over an hour to reach by public transport. The nearest sandy beach is just 0.5 miles away from the property and the PGA Catalunya Resort Golf Course is 23 miles away while the Sant Vicenc de Montalt Golf Course is 12 miles. 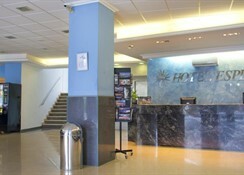 The Barcelona El Prat Airport is 37 miles from the hotel. There are five varieties of room types at the hotel. Single Rooms are suited to solo travellers while a Double Room can sleep two guests, with a Triple Room have three single beds for three people. Families can also avail of the Triple Room option with one double bed and one single bed, while there’s also a Quadruple Room which can sleep two adults and two children or four adults. All the rooms have a modern design, air conditioning, views of the gardens and free Wi-Fi access. 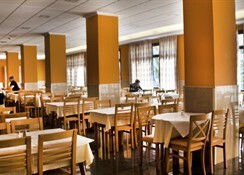 The hotel has its own buffet restaurant as well as a bar and poolside snack bar too. The main restaurant offers Mexican and Asian themed nights each week. Guests can also take advantage of the all inclusive option if they prefer, which covers breakfast, lunch, dinner as well as snacks and a selection of drinks. 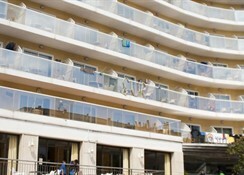 The hotel has two swimming pools and a terrace ideal for relaxing on. There is also a Jacuzzi at the hotel for those seeking R&R. Golfers can play on several courses in the area which includes the PGA Catalunya Resort Golf Course and the Sant Vicenc de Montalt Golf Course is also in the nearby area. You can get to Barcelona easily via public transport and the nearest beach is only 0.5 miles away from the hotel.